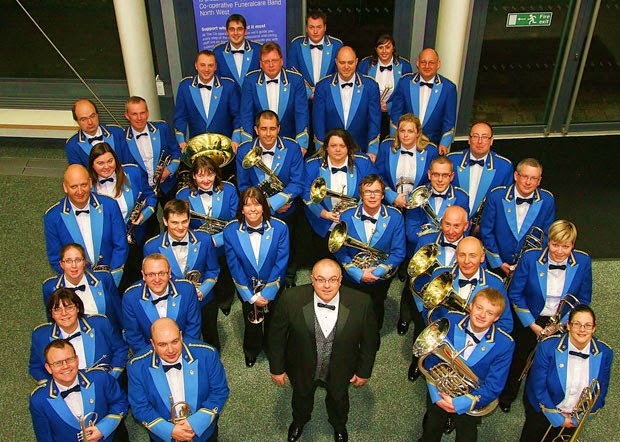 The Co-operative Funeralcare Band North West is a Championship Section Brass Band, based in Crewe, Cheshire. The Band has an excellent relationship with the Co-operative Funeralcare and the sponsorship agreement with them runs until 2015. In seventy years since the Bands formation in 1942, it has had just seven Musical Directors. The current Musical Director, Jef Sparkes, took over the baton from his father in 1999.